Most of the times I try to sew based on the lacks of my wardrobe. One thing my wardrobe is lacking recently is outwear, especially for winter time. You already know that I fell in love with Colette's newest pattern Albion, so naturally ideas started popping in my head. 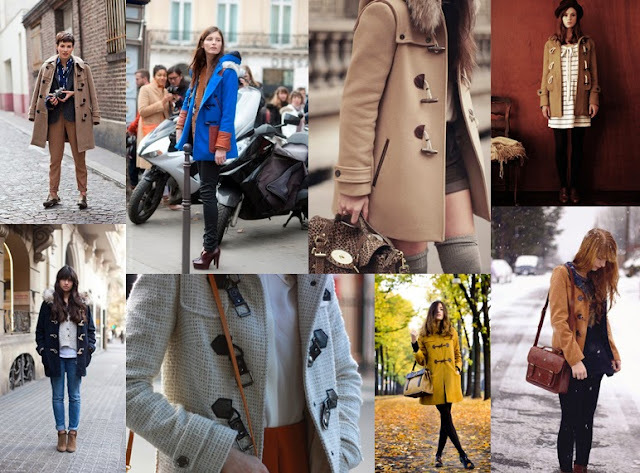 Here is a small inspiration board of how versatile a duffle coat can be. I'm already in the process of making my first Albion. So stay tuned for photos of the finished garment. Love your inspiration! I just purchased the Albion pattern as well so I´m really excited to see what you come up with. Thank you! I finished my Albion yesterday! Now I have to find some time to take pictures!